The UNIMAT UT-L heating boiler is an ideal solution for central heating systems of local heating supply with a diverse application profile. The UNIMAT 3-pass design that has proven its worth a thousand times over in practical application. 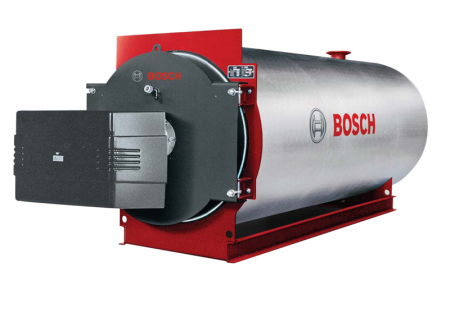 The UNIMAT heating boiler UT-L is offered in various sizes and can also be used as a multi-boiler system in pooled output. 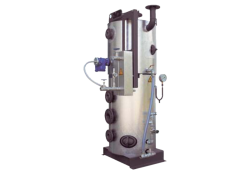 The heating boiler is CE certified and is designed and equipped in compliance with the European Pressure Equipment Directive. It is used for a wide range of applications at low temperatures and pressures. The heating boiler UT-L is used particularly in hospitals, homes, office buildings, residential complexes as well as throughout industry. Its high level of flexibility makes the UT-L ideally suitable for use as a reserve and peak load boiler at heating power stations and combined heat and power plants. The inserted flame tube ends in an inner water-flushed smoke gas reversing chamber, which leads into the first smoke tube pass. 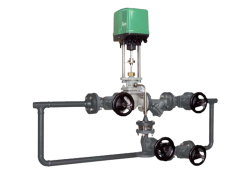 The first smoke tube pass and second smoke tube pass are free of flow components. The functional round design ensures optimal pressure resistance. Furnace, water chamber volume,radiant and convective heating surfaces are perfectly dimensioned and matched to each other. 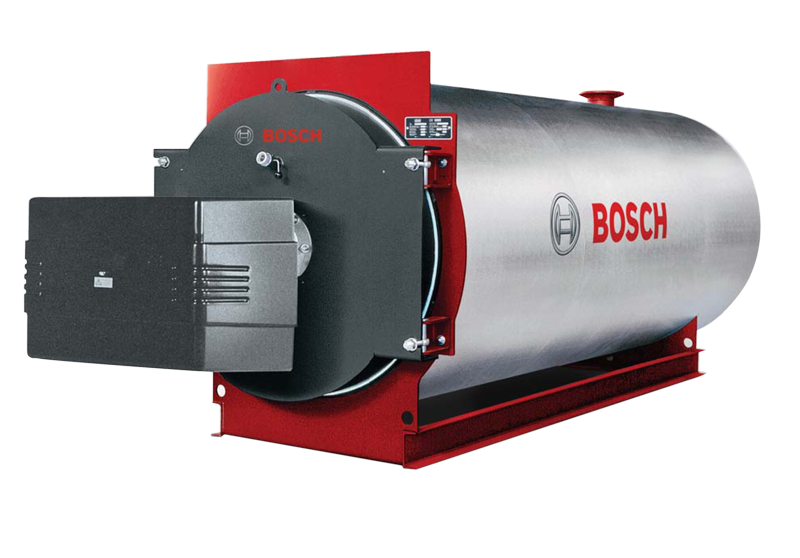 The boiler front door can be fully hinged, optionally opening to the right or left. The entire cross section of the boiler is freely accessible. Maintenance, cleaning and inspection are thus possible without any problems. The high quality mineral wool matting insulation over the entire boiler body and the special heat insulation material in the front door ensure that there is only a negligibly small radiant loss. 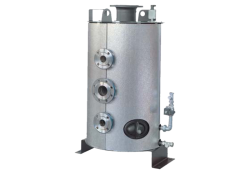 The heat generator can already be fitted with an integrated flue gas heat exchanger or condensing heat exchanger ex works on request.